Creating a successful, popular WordPress blog one becomes more and more difficult. The main concern of any starting blogger is how to stand out from the herd. 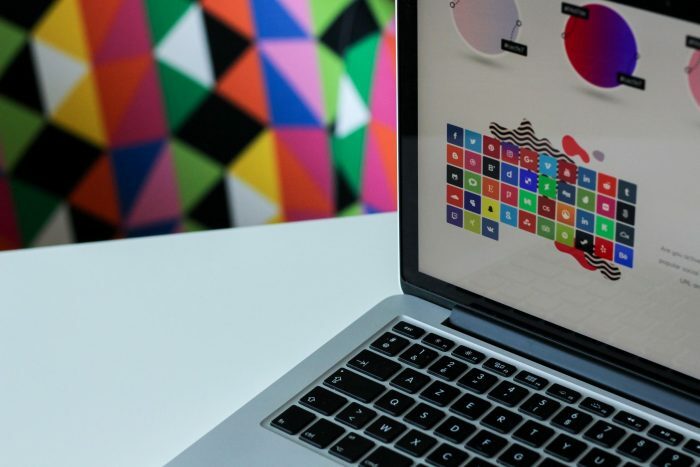 No matter whether you are running a web design, marketing, photography, lawyer’s, architecture, whatever business, you need to promote it via a blog. This is a bullet-proof way to tell your potential customers about your work. WordPress blogs can be of different types and styles. But we advise you to use premium WordPress themes if you want your work to resonate with the target audience and attract new customers. The themes will allow you to present your business online in the most elegant way. In this article, we are going to give you actionable tips to improve your blog, increase your traffic, and help you achieve other goals faster with WordPress themes. A blog has a massive set of advantages. It will fit both for independent businesses and corporate ones. A blog is a non-standard way of demonstrating a personal or corporate CV. The takeaway is that a WordPress blog allows you to share things about yourself and your business to potential customers in a quick and appealing manner. Blogs are not similar to social networks. You can place what you consider relevant to your resource. So how do you imagine the future blog? What will/won’t you post there? Depending on your business field these features may vary, though, the general idea stays the same if you want to achieve good results, of course. Whatever you do, there are many options for you powered by WordPress. If you don’t know coding well enough, don’t overcomplicate your life. Do you think of hiring a developer? It’s ok if you are not tight on budget and sure that the result will not disappoint you. We would recommend you to purchase a ready-made WordPress theme from a decent provider. This way you will be able to create a blog on your own and have total control over each stage of development. WordPress is appreciated for its ease of development and versatility. You not only create any kind of website on the basis of the platform. You will be able to combine the functionality of different sites in one web resource. Creating a blog on WordPress you can use plugins and add-ons to add cool functionality like nice works gallery with a filter, for instance. 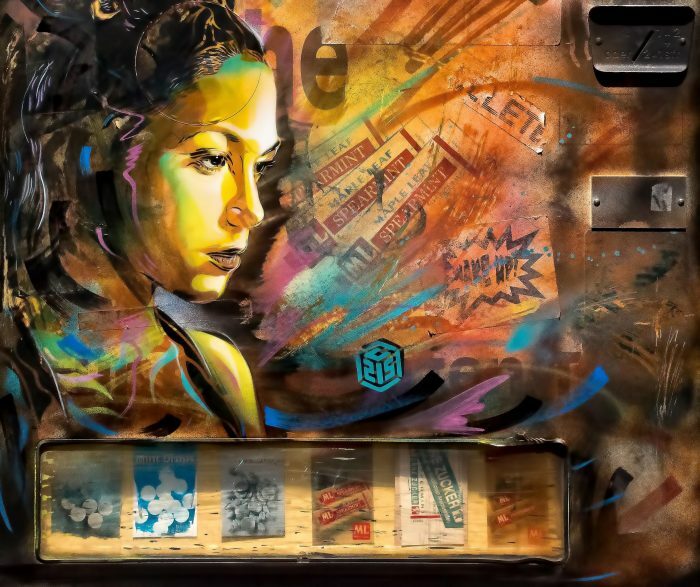 You will be able to sell stuff and take payment for your work on site, run a forum, or even a social network. Having everything in one place is convenient. Premium WordPress themes are responsive and SEO-optimized. Almost all of them are compatible with the top premium plugins. A lot of them are included in the theme package for free. Those are frequently slide show and page builder plugins. If you use premium themes, the blog will turn out really high quality and modern. The advantages regard not only design but mobile optimization, which is a must in our time. The number of mobile device users is growing day-by-day. Mobile traffic share can sometimes increase up to 50% of the total, so your blog must be adaptive. If your blog is created on WordPress, this requirement will be met for sure. To create a decent blog on WordPress, you should first buy a domain and hosting. Then, you need to install the WordPress CMS and WordPress theme on the hosting. Next, a simple setup procedure will follow. After that, your blog will be ready. Here goes a number of tips/features which will help you create a perfect blog out of a premium WordPress theme. A blog will serve for improving online networking and building new useful connections. You need to understand why you are going to create a blog. It may be not one of the listed above reasons. In any case, your goal is to find it. 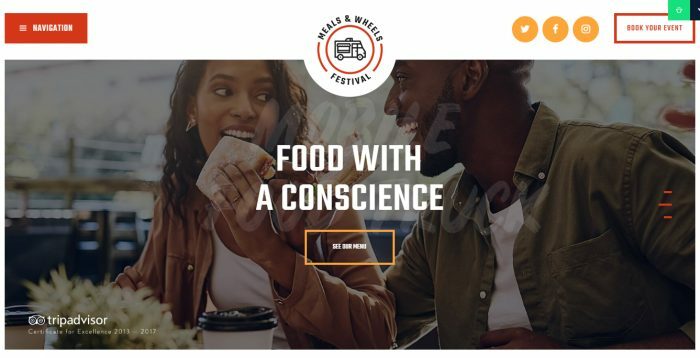 Meals & Wheels WordPress theme is a good example of a theme suitable for those who are running a street food cafe, food delivery services and etc. A better understanding of your project will help to make your blog impressive. Would you like to attract corporate customers? Choose an intelligible, professionally designed WP theme. In other words, give them what they want to see. The content of your blog should meet the needs of your target audience. Communication with your target audience will help you craft your service package, make it unique and stand out among the competitors in your niche. Make sure that everybody can easily find this information. It can be an About section or page with a photo(s). Dr.Patterson WordPress Theme has a good example of persuasive About page. Remember that it’s not necessary to write a lot about yourself. Quality is always above quantity. Can you boast an exciting biography to upload it on your blog? The common answer is “not really”. However, About section/page is requisite to help visitors decide whether to contact you or not. 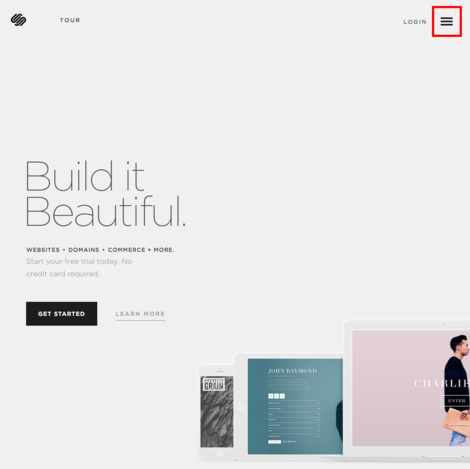 On this page, you can tell what inspires you, tell about your workflow, etc. Decide whether you want to specify your pricing. In some cases, pricing helps to make a decision. In others, this is not so important. The main aspects are your skills/products. It’s important to pick only the best materials for your web resource. Each blogger/website owner solves this issue their own way. But all of them try to show the most advantageous things on the home page. Selected materials draw visitors’ attention. 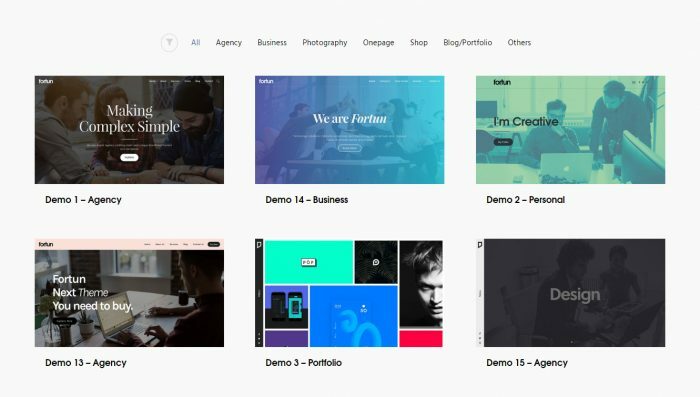 Look at the Wanted – Personal Portfolio, Blog and CV WP theme. It demonstrates how the best works can fresh up the site. Call to action is your secret weapon. What you need to do is place this button at the right place and make it noticeable. We also advise using some unconventional phrases instead of the commonplace “Contact us”. For instance – “Order a project” or “Order a web design”, the list goes on. When you offer people to do things, you increase the probability that they will choose you. For example, you can offer a 5-10% discount on orders made before a certain date. 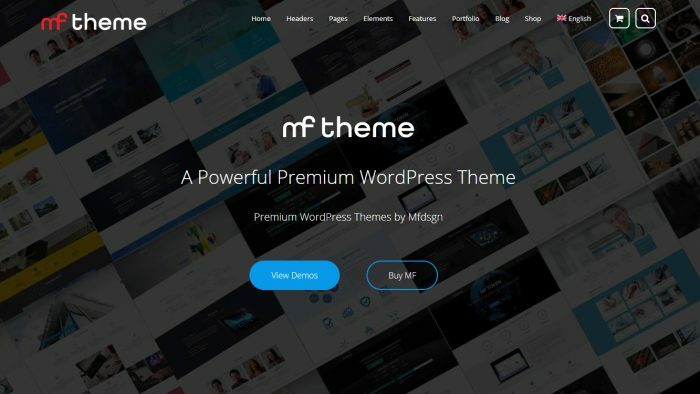 Look how MF – Multipurpose WordPress Theme offers to view template demos. The trend is far from new but the fact doesn’t make it less important. The responsive design demonstrates your personal abilities to solve positive customers’ experience issues. 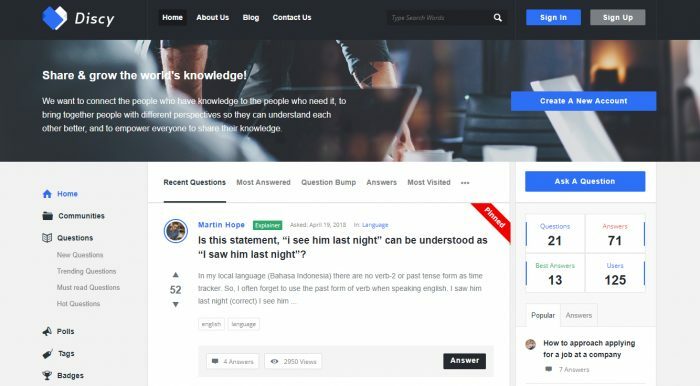 Here is a visual example for you: Discy – Social Questions and Answers WordPress Theme. has an excellent responsive website layout with Ajax Search that adjusts to any screen size. This simple theme looks great on any monitor. Things like animation effects are able to work wonders adding charm to your web page and attracting attention. But be cautious here, don’t cross the line. There is a certain limit after which animation becomes annoying. Keep the balance. For instance, you can try to add effects to images and page content. Take a look at the animation effects used in Fortun – Multi-Concept WordPress Theme. One of them is image zoom on hovering. Hiding your menu can save a lot of space on the screen. This is especially serviceable for mobile devices. Hamburger icon you see below is already known and recognized by everybody. 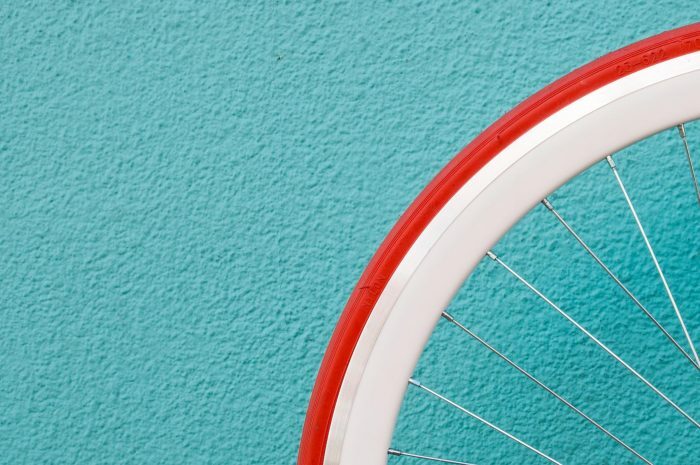 Opting for minimalism is a simple and popular way of creating a current blog. However, this does not mean that you must use a white background only. What you need to dо is think well over the main aspects of your page, create an outline, and then add some additional elements. It may be Contact information, About, several pages describing your services, a section with a portfolio and the main page. These pages/sections are enough to convey your message. You may use beautiful colors and enough free space. And don’t forget to make sure that all the necessary information is easy to read. Are you a creative person? That’s great. However, please always ask yourself what goal this or that amazing element is going to serve before adding it to your web page. Will this element help to convey your idea to the target audience? If the answers to these questions are negative, don’t follow your creative impulse. Today, social networks became an inevitable part of our life. So, you can’t neglect them. Socials can increase your popularity and bring new customers to your website. Add social media buttons to your site where appropriate in a stylish manner to make it a top-notch WordPress blog. The tip is very simple. Your contact details must be visible from all pages of your blog. The more ways to contact your customers see, the more likely they will do it. Include an address, contact form, and Google map to your contacts. Blogging is utterly important in the modern digital world. You won’t believe that but many people still don’t have the blogs. We don’t want you to be one of them. Blogging (posting terrific content) helps in branding, increasing traffic, and improving marketing, so consider this tip. So, choose a WP theme, make it beautiful and be active. Write awesome pieces of content on regular terms, post them on your blogs, and you’ll be a success. Looks like that’s it for now. You have just read about 12 features we consider crucial for a premium WordPress blogging theme. We hope they will help you choose the theme that will turn into the best blog you can think of. Have any questions/feedback/suggestions on the topic? Please drop us a line in the comments and don’t forget to share the article on social networks.